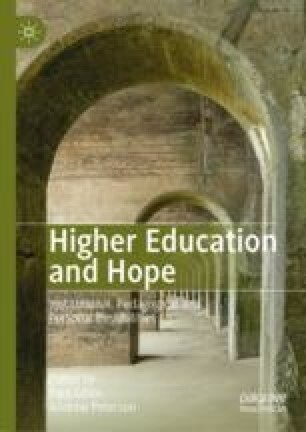 Although there has been considerable debate in contemporary literature on the erosion of public good in higher education, most of it has concentrated on the word ‘public’ in the phrase rather than on the notion of ‘good’. A focus on the ‘good’ is attempted here, and the distinctions between inherent, intrinsic and instrumental are used in a framework devised by Audi (The Good in the Right: A Theory of Intuition in Intrinsic Value. Princeton University Press, Princeton, 2004) to develop the following ideas: that education is inherently good; that aspects of its practice are feasibly intrinsically good; and the institutions in which the practice of higher education is delivered is contributive and thus of instrumental value. For if education is intrinsically good then it is something we can all hope for as a common good.